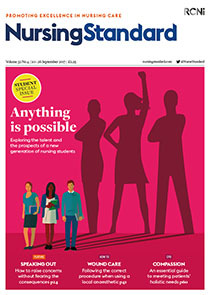 Each year hundreds enter the Andrew Parker Student Nurse category of the RCNi Nurse Awards. While the entrants are inevitably all impressive, only a handful of exceptional students get the chance to showcase their work in front of judges. This year, five students were chosen as finalists.